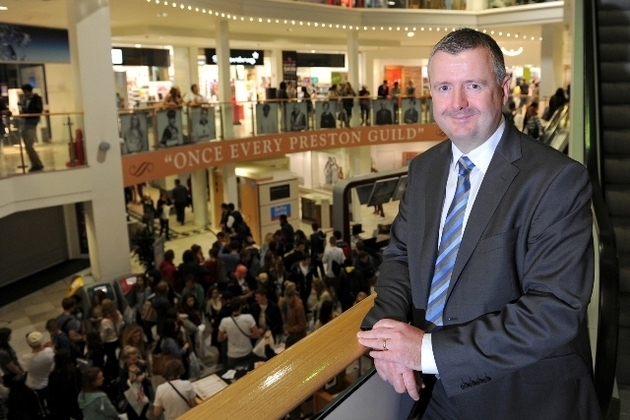 The leader of one of Preston’s largest shopping centres has earned a nomination for one the UK’s most coveted retail awards. Andrew Stringer from St George’s Shopping Centre has been shortlisted for ‘General Manager of the Year’ at the SCEPTRE Awards. Now in its 15th year, the awards recognise excellence within the shopping centre industry. The ‘General Manager of the Year’ category celebrates those who have risen to the challenge of being genuine multi-taskers and have driven positive change to increase the number of shoppers. Andrew Stringer, the only general manager in Lancashire to be nominated in this category, has been judged as a finalist due to his focus on adding value to the shopping experience and improving relationships with retailers. Emma Morris, Associate from Cushman and Wakefield said: “Since his appointment in 2012, Andrew has cemented himself as a thought leader in Preston’s retail landscape. “He has driven his team to deliver excellence on every level, whether that’s customer service, a host of quality events or flexible support for the centre’s retailers. The winners of the SCEPTRE Awards will be announced at a glittering dinner at The Dorchester, London on June 24.